This post is sponsored by TurboTax. All content and opinions expressed here are my own. Now that it’s tax season, I wanted to share some information with you guys, because I’ve found, by far, the best way to do taxes. It combines the precision and simplicity of using a tax professional with the inexpensiveness of doing it yourself. I’m talking specifically about TurboTax. TurboTax is easier because it breaks down the process of filing taxes step-by-step. It asks you one question at a time, and helps guide you through the process bit by bit so it feels a lot less overwhelming. This way of filling out the forms also prevents you from accidentally missing questions altogether. I can’t tell you how much I prefer being asked one question at a time, rather than having the whole shebang looming in front of me. I can almost pretend I’m filling out a fun survey, not a boring tax form. Also, unlike filing your taxes completely on your own, there’s lots of hand-holding available if you need it. With each question they ask, they have a link you can click if you need more information. And if that’s not enough, they have live (human!) help available to you – so if you need individualized help, they’re there. Also, their support is top notch. 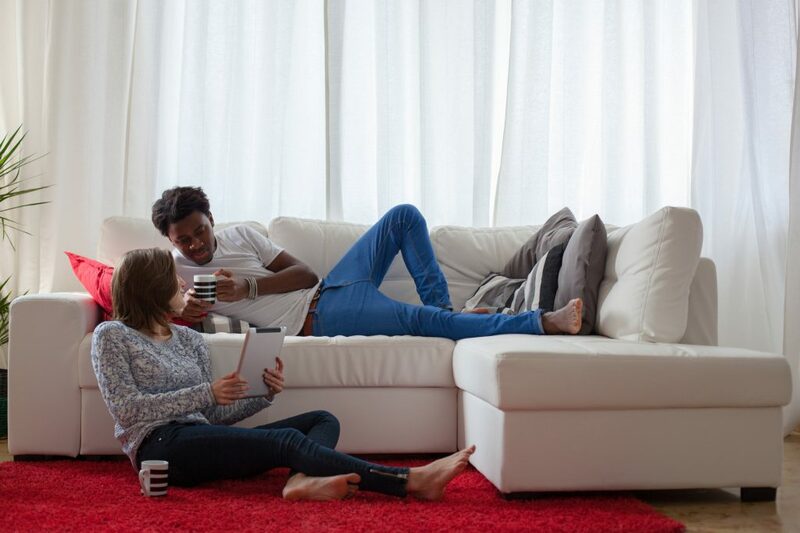 They don’t just communicate through a chat window: you can connect with them via one-way video and screen sharing, which allows them to view the screen you’re currently on and circle the next steps for you. You can also schedule an appointment with an online tax expert at a time and date that works best for you, so you can ask any and all questions you need to and receive advice tailored to your situation. This is an example of what you’ll see if you get assistance this way. They also help to eliminate how much data you have to manually enter – you can just take a picture of your W-2 and they’ll input all the information where it needs to go. And for many companies, you can enter your employee/employer ID numbers and it’ll automatically bring up your W-2 from their system. So. Much. Faster. And like I said, their service is far cheaper than hiring a tax professional to prepare your taxes for you. Let’s look at the numbers for a minute. With their Absolute Zero program, you don’t have to pay a penny for tax preparation in these circumstances. For the most complicated of situations (such as being self-employed or receiving any sort of rental income, etc), their service normally maxes out at about $115 – which is a fraction of the cost of having self-employment taxes prepared by a professional. Plus, they guarantee you’ll get the largest refund possible. You can check out the different versions and features of TurboTax to determine which one is right for you here. Speaking of being self-employed, by the way, TurboTax has a specific program available for if you’re self-employed/independently contracted. 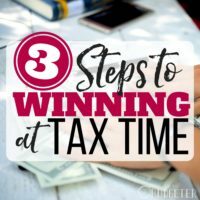 So if you’re thinking this post really isn’t for you, because your tax situation is too complicated for you to manage by yourself, I’m happy to tell you: You’re wrong. TurboTax Self-Employed is specifically for those who are self-employed or work as independent contractors and allows you to access help from industry leaders to help you maximize your deductions and pay less at tax time. 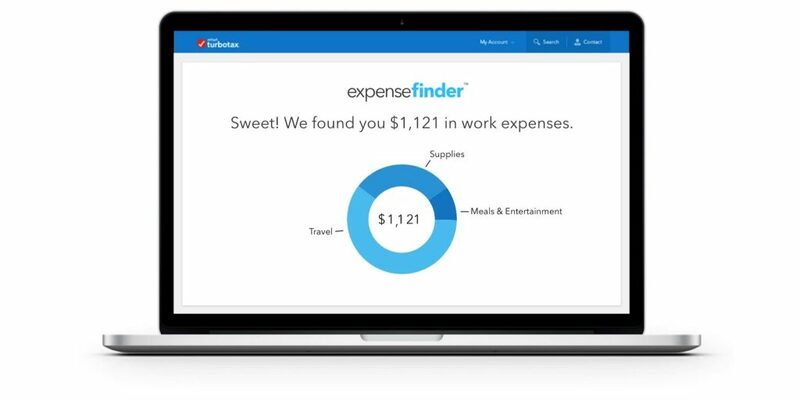 And, right now, TurboTax is offering Busy Budgeter readers 10% off TurboTax Self-Employed. One of the best things about the program is a service called Expense Finder. This allows you to scan bank account/credit card transactions for possible expenses you may have missed. It also automatically imports, separates, and categorizes expenses into business and personal, which better allows you to separate personal transactions from business. 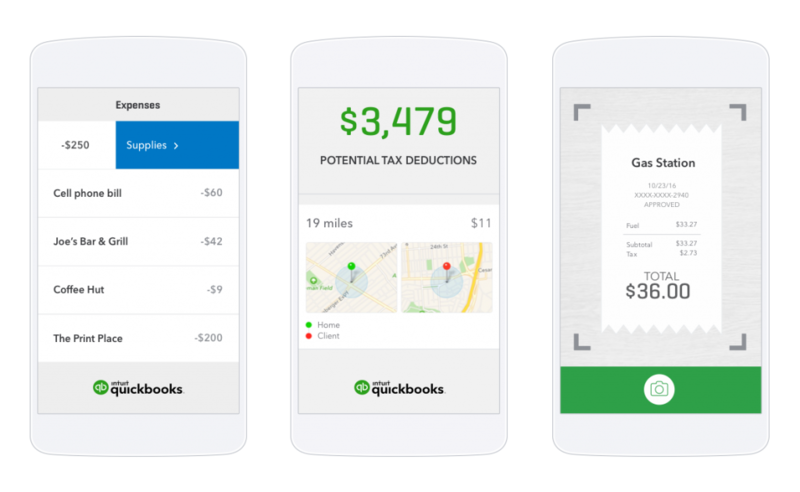 Also, to keep track of your income and expenses year-round, TurboTax Self-Employed integrates with Quickbooks Self Employed, which allows you to scan receipts for deductions, track mileage, and overall help you to have your ducks in a row come next tax time. This is especially appealing because you can use it to file and pay estimated quarterly taxes. You can get TurboTax Self-Employed and save 10% here. Doing your own taxes helps you to feel more empowered and in control of your own finances, so no matter what your tax situation looks like this year, TurboTax is a great option. 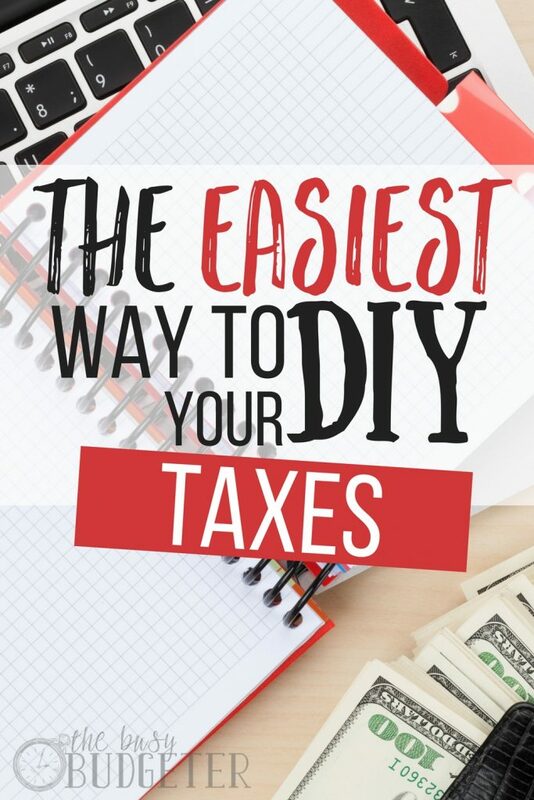 Have you ever DIY’ed your taxes before? I am SO excited that I found your blog, there is a ton of AMAZING info here! I can’t wait to explore more! Thank you for the tax tips, taxes always seem like a huge burden & I always feel like I am scrambling at the last minute.. not anymore! I used Turbo Tax this year as a self employeed blogger, it made things SO much easier. We used the Home and Business version the do our taxes. It walked me and my husband through each step. I will continue to use Turbo Tax because of how easy it was to use! What will turbo tax self employed help me do that quick books self employed won’t? 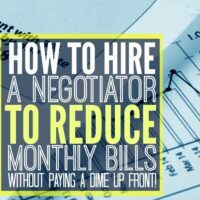 I’ve been trying to decide if I should do quick book self employed and now that I’ve found this post I’m wondering if I need both? What is the advantage of turbo tax over quick books? How do they work together? Do I need both? I’ve used turbo tax to file before and love it. I have been using TurboTax to do my/our taxes since I started filing my own taxes and love how easy and affordable it is! 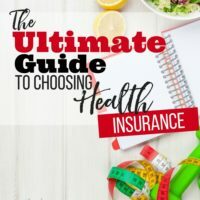 They have gotten even more detailed over the years and I never feel like I am going to get something wrong since there are so many checks and helpful hints along the way. Great post! Definitely some awesome tips and advice. 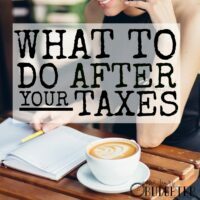 If you do find your taxes to be quite complicated or you do not have the time to do them yourself it is best to consult with a professional! Thanks for sharing! Very well said, Rosemarie, your DIY taxes tips are really precise for me, its easy to understand and to follow. Brillaint, advice. Hello, Rosemarie, you have a great article with very helpful information and easy to understand. We appreciate seeing posts such as yours because you are providing your readers with the real advice they can count on and use to make smart decisions. Thank you. Its very informative. Thanks for sharing this. Am expecting more of these. Thanks for the sharing and keep up the good work always. Tons of good info, thanks for sharing ! Fees that you pay to a property management firm for their services are deductible. Be aware, though, that things like commissions for tenant placement should be noted as marketing and not management.